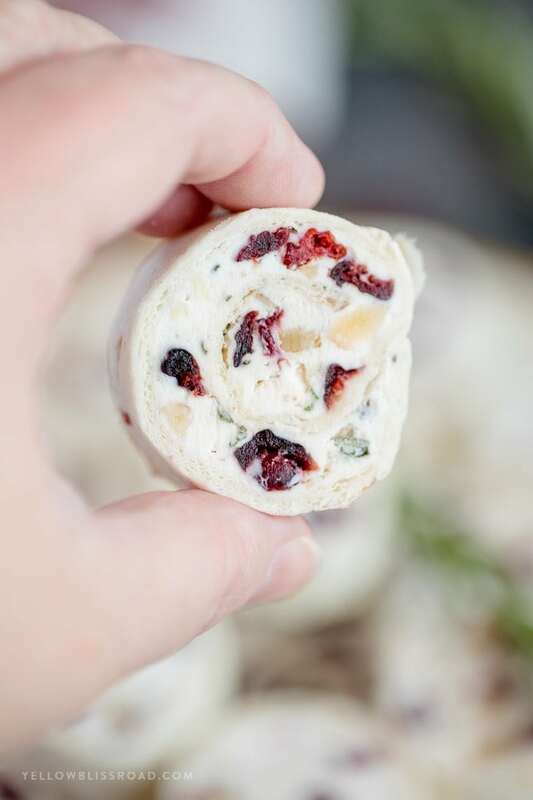 My Cranberry Walnut Pinwheels make a deliciously perfect holiday party appetizer. 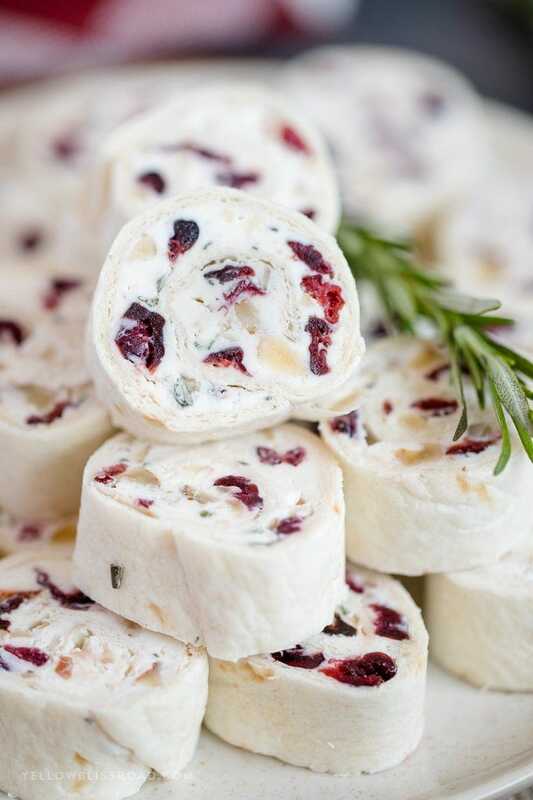 They are super easy to whip up – sweetened cream cheese, dried cranberries, fresh rosemary and crunchy walnuts are combined and stuffed into soft flour tortillas for an irresistible snack! (this post is sponsored by California Walnuts). I love holiday dinner parties just as much as the next girl, but you want to know what I love even more than the dinner? The appetizers! Sweet or savory, appetizers take me to my happy place. I mean, who doesn’t love cute little bite-sized nuggets of deliciousness like these Cranberry Walnut Pinwheels? Walnuts aren’t something I would have normally thought to add to pinwheels like this. I love walnuts, and oddly enough they really bring me back to my childhood. My grandma loved to cook with walnuts and always kept them in the freezer. Just plain, unsalted walnuts. I remember I was always sneaking a handful because they were so tasty! I love making pinwheels because they are so easy and you can get super creative with them. 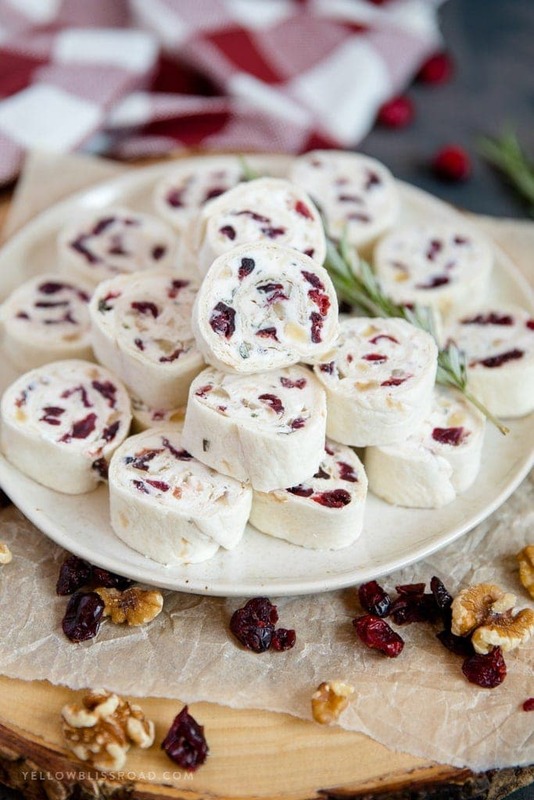 These pinwheels are filled with sweetened cream cheese, goat cheese, dried cranberries, chopped rosemary and walnuts for a nice textural element that contrasts the creamy cheeses. 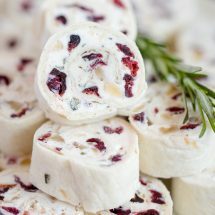 The cream cheese and goat cheese are whipped with an electric mixer to make them nice and fluffy, then mixed with the cranberries, rosemary and chopped walnuts. You want to use a nice soft and thick flour tortilla for your pinwheels. They do soften as they chill but the softer they are to start with, the better. I typically use Mission tortillas for pinwheels. Spread the cream cheese mixture all over the tortilla, then roll it up tight into a log shape. Wrap the logs in plastic wrap, tightly, to help them keep their shape while they chill in the fridge. 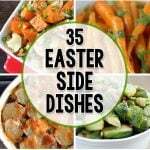 Refrigerate them for at least an hour, but they will keep overnight. Once you slice them into pinwheels, serve them as soon as possible. 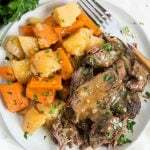 Leftovers will last a couple of days in a sealed container in the fridge. 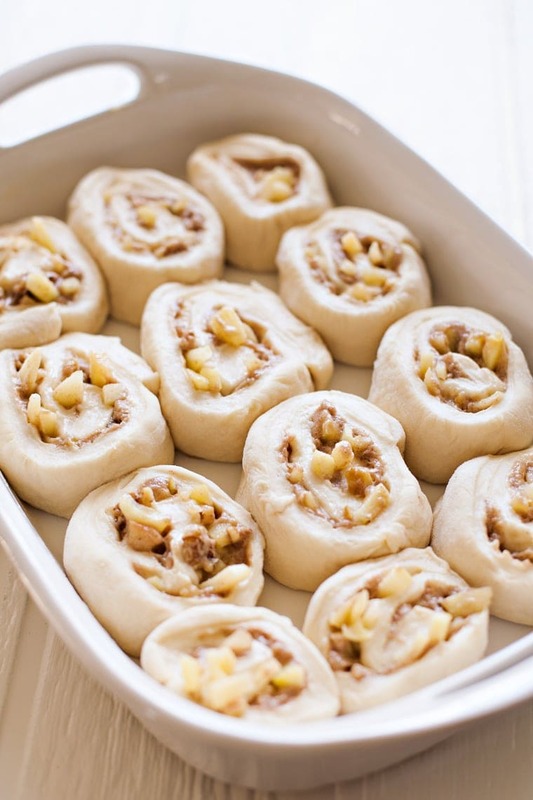 My Cranberry Walnut Pinwheels make a deliciously perfect holiday party appetizer. 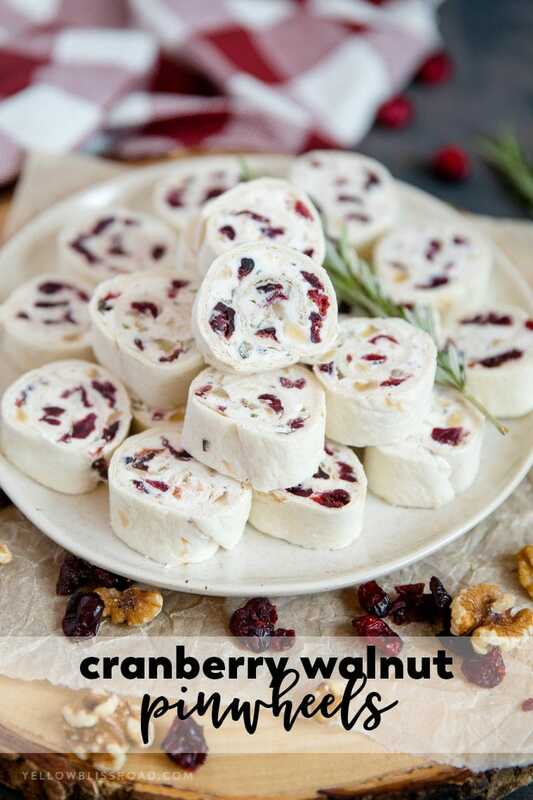 They are super easy to whip up - sweetened cream cheese, dried cranberries, fresh rosemary and crunchy walnuts are combined and stuffed into soft flour tortillas for an irresistible snack! In a medium sized bowl, beat cream cheese, goat cheese and honey until smooth. Stir in dried cranberries, fresh minced rosemary and walnuts until well combined. Lay a flour tortilla out on a flat surface. Spread a third of the cream cheese mixture over the tortilla, leaving about 1/2" on one edge. Gently roll the tortilla up as tightly as you can, pressing towards that 1/2" of empty tortilla. Wrap tightly with plastic wrap and store in the refrigerator for at lease one hour or up to 24 hours. Repeat with the other two tortillas. 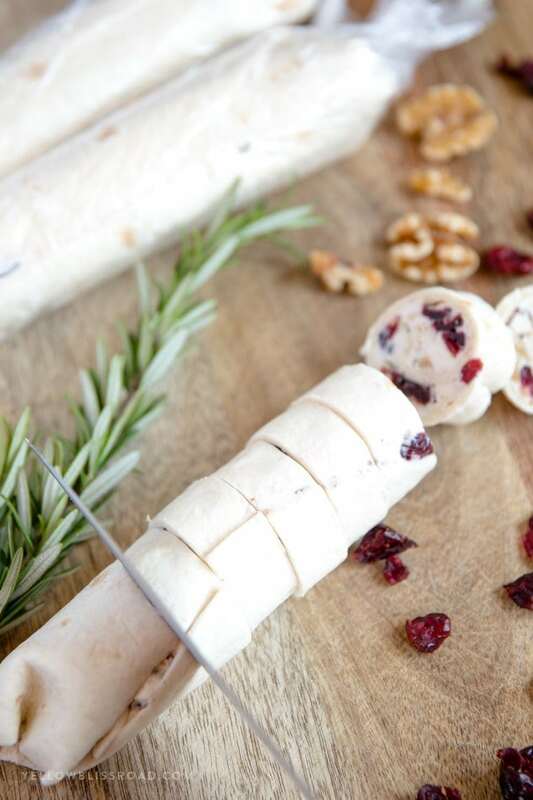 Remove the rolled pinwheel log from the fridge. Using a sharp serrated knife, slice into 1-inch pinwheels and arrange on a serving plate. It’s similar in texture, but the flavor is a bit different. You can find it in the same section of the grocery store though. I’m not much of a turkey eater at Thanksgiving. I like to over-eat on appetizers. I am absolutely including these in my line up! Thank you! You are totally my people!